A commercial generator allows large companies, municipalities and healthcare organizations to operate all year long. 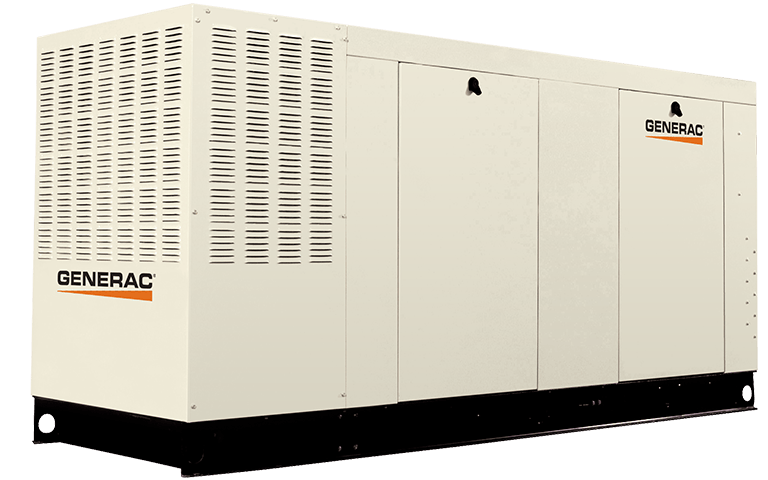 Many are required to have commercial, in some cases, industrial generators on premises. The larger the property, the more critical the power needs are. With newer commercial generator technologies, the ability to maintain the status quo becomes greater than ever! A high powered premium generator with low speed RPM. Power your business and keep your employees working, your customers calling and coming in the door. In general, stay in business while the competition is on the outside looking in. A premium choice for 24/7 power and security. A high powered unit with an automotive style with a low RPM mode for quite service. If you’ve got food to protect or call centers to run this workhorse might be the powerful brute you need to keep everything fired up or still frozen and business humming. Provide service, safety and security where you need it. Get a competitive edge and take a swipe at the competition when their customers find their way to your door. Be the value added, go to business when the lights go out and the storms are blowing. In general, keep your business in business while the competition is trying to figure out how to work by candlelight. A premium choice for 24/7 power, security and service. Generac’s containerized option brings serious power. It has a Turbocharged and intercooled engine with unit mounted radiator and a fully featured microprocessor based controller that’s easy to use and field programmable for customized installations!